Capcom has announced that the compilation of classic Phoenix Wright titles will be coming to a whole host of platforms this April as part of the Phoenix Wright: Ace Attorney Trilogy. The collection features three of the spiky-headed lawyer's kooky courtroom adventures: Ace Attorney, Trials and Tribulations, and Justice For All. All three of these games launched on the Game Boy Advance, but are best-known for their globally popular Nintendo DS releases. Players must use clever lines of questioning, deductive skills and lateral thinking to conquer a series of tough (and usually very, very weird) cases. 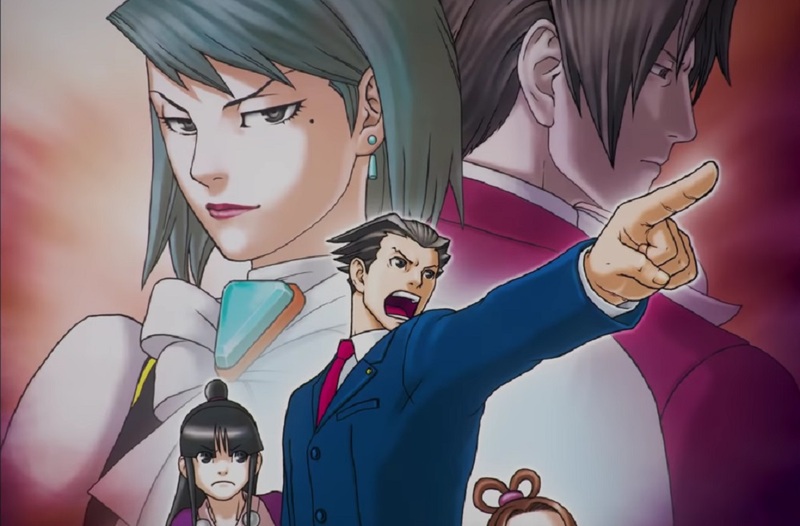 The Ace Attorney has proven to be quite enduring, introducing us to a plethora of great characters besides Phoenix himself, including Apollo Justice, Miles Edgeworth, Franziska von Karma, Mayoi Ayasato and a host of over-the-top suspects and witnesses. The Phoenix Wright brand has even crossed over into other games, such as Marvel vs. Capcom 3 and the Professor Layton series. Phoenix Wright: Ace Attorney Trilogy launches digitally on PS4, Xbox One, PC and Nintendo Switch April 9 at an expected cost of around $30. No objections here.